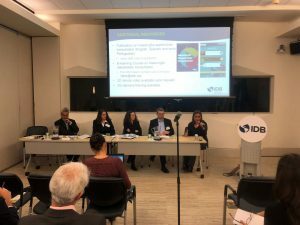 On April 18th, 2018 The Inter-American Development Bank, in collaboration with Boston University Global Policy Development Center, co-organized the Brown Bag Lunch (BBL) "Pioneering Approaches to Environmental Social Risk Management: Lessons for National Development Banks and Beyond." 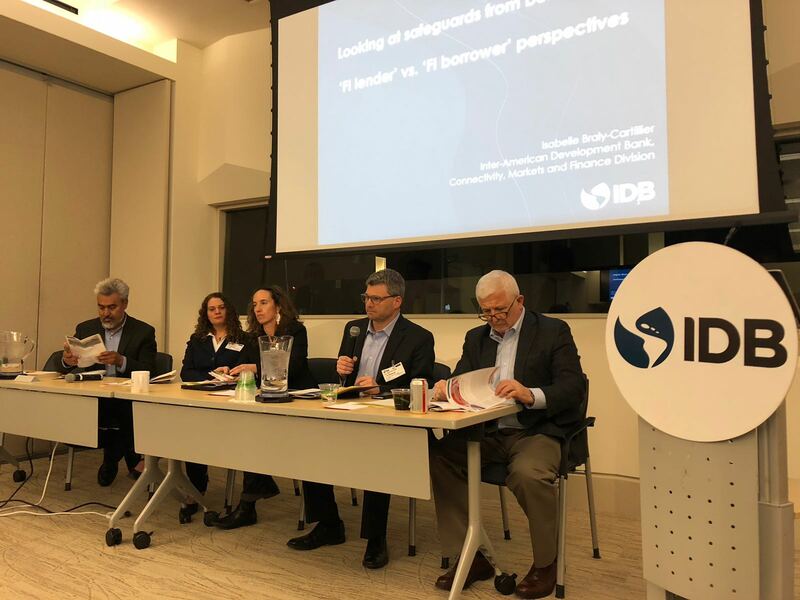 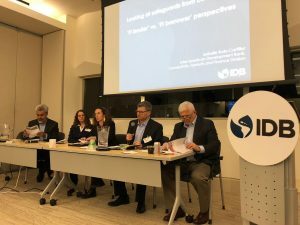 The BBL took place in Washington D.C. and brought together different actors including National Development Banks, academics and Non-Profit Institutions. 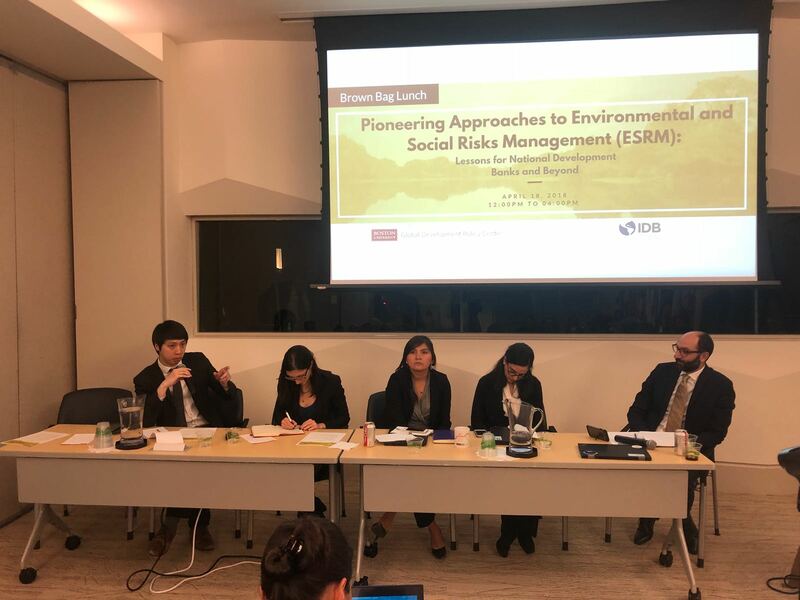 The discussions focused on the role of the National Development Banks in the evaluation of new approaches for the assessment and mitigation of environmental and social risks. 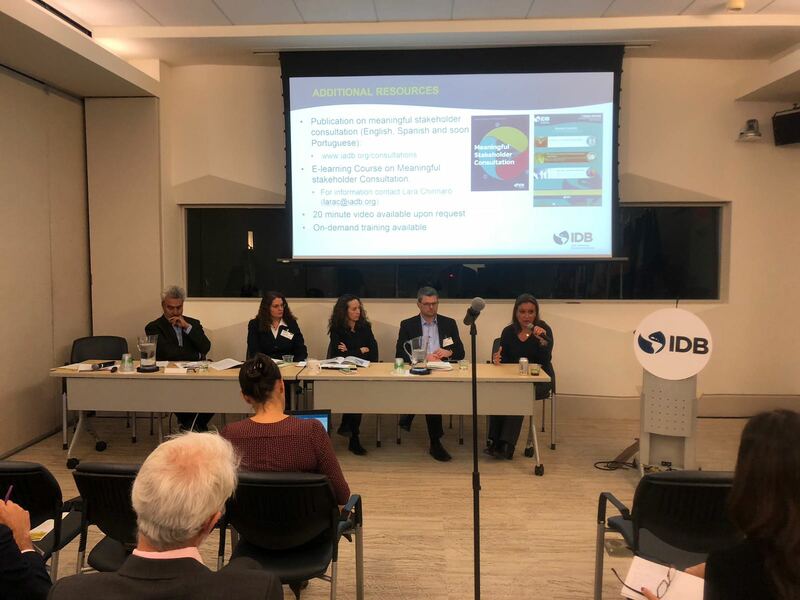 Conclusions point to the need for standardizing Sustainable Development in the region and what tools are available for the actors in the region.